“Tar balls” or lumps of solidified crude oil found in or on the sea, or washed up on shore, are spreading across the coast of South Gujarat. It was on Saturday and Sunday that the tar balls had been found on the beaches of Umargam, Nargol and Tithal. On Monday, however, the balls, which were seen in a 20-km area, had expanded to 40-km. According to media reports, the tar balls had been spotted on beaches in neighbouring Daman, and there were chances of it also spreading further to coastal parts of north Maharashtra. “The crude is most probably from ONGC’s Bombay High oil field. 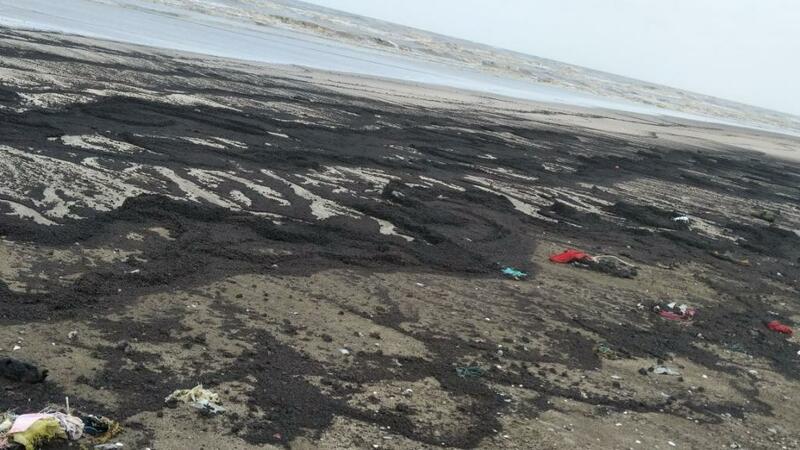 This oil spill will spread and increase in 2-3 days as floating tar balls will be deposited on the coast due to waves and current,” said Brackish Water Research Center, a voluntary organisation working on environment, ecology, fisheries in Gujarat from 2003. The Gujarat Pollution Control Board or GPCB has collected samples of the tar balls from the beaches, and sent them for testing. If the tar balls have indeed been formed due to an oil spill, it will be the fifth such spill in the South Gujarat region in the past decade. Earlier spills have occurred in 2009, 2010, 2013 & 2017.